Tyee Road Green Space is in the seaside city of Victoria, one of thirteen communities that form the Capital Regional District of British Columbia. 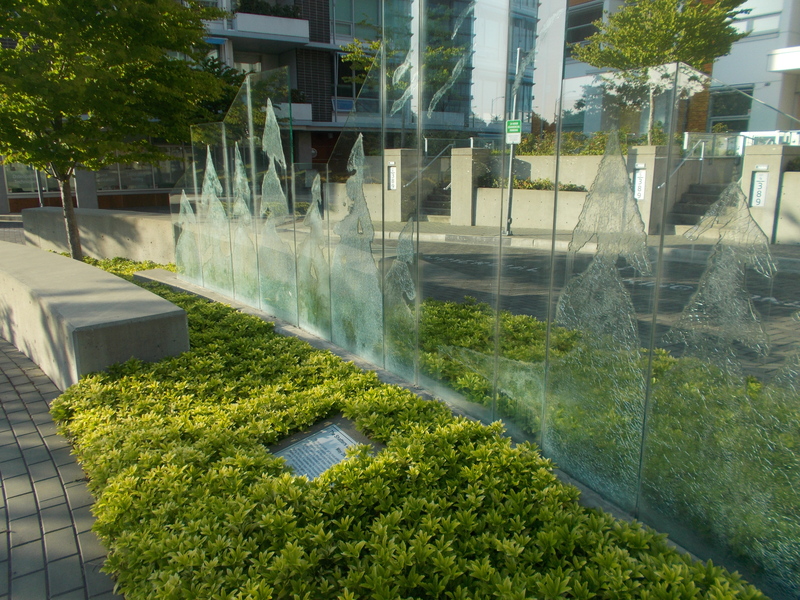 A shattered glass outdoor art created by Rick Silas provides an eye catcher behind the concrete benches of Tyee Road Green Space. 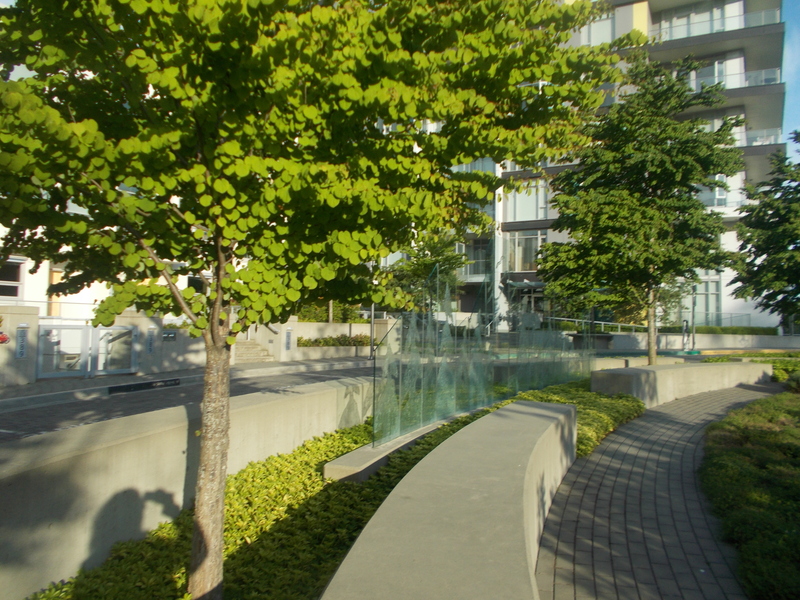 ‘The Shatters’ and bench are lined with herbs, shrubs and trees forms this green pace. A terrific place to pause from work and enjoy a “nature” break. A seventy five meter sidewalk leads down a flight of stairs with three or four steps zigzag down to Harbour Road. 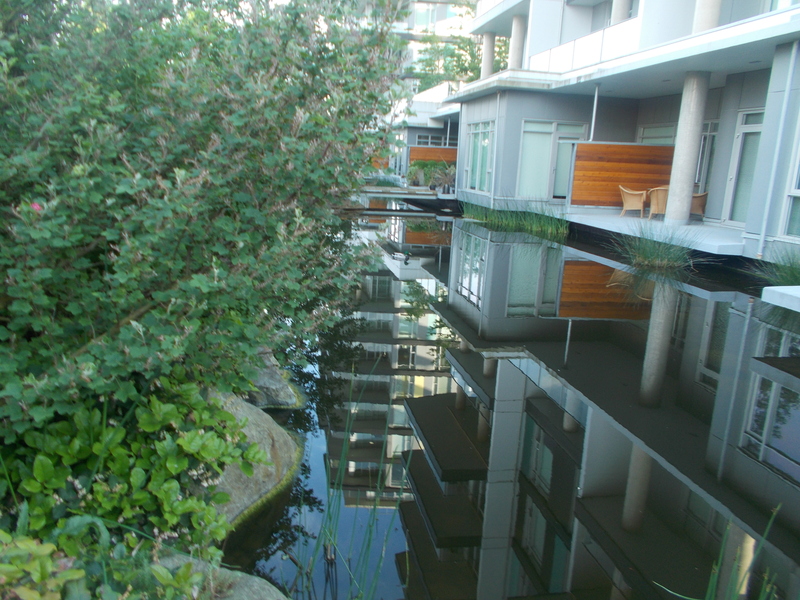 This walkway is along a soothing series of ponds beautifully landscaped along the ridge between Tyee Road and Harbour Road. Tyee Road Green Space can be reached from the Trans Canada Highway. Continue along the highway as it becomes Douglas Street. Turn west onto Bay Street and continue across the bridge toward Victoria West. Turn left onto Tyee Road and look for the green space on the left as you reach Wilson Street. The green space is front of the office buildings where there is limited roadside parking. A city bus travels along Esquimalt Road from downtown.